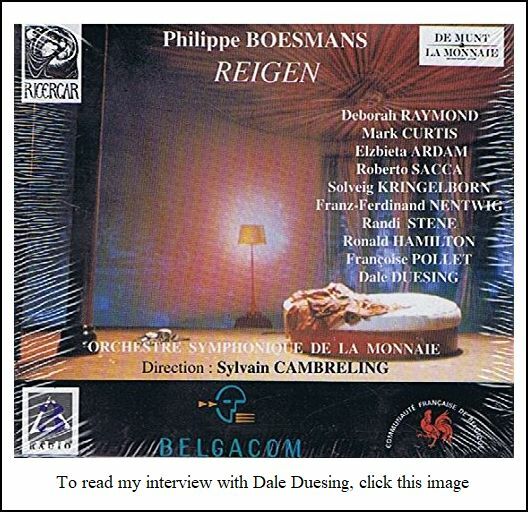 Sylvian Cambreling Interview with Bruce Duffie . . . . . . . . . 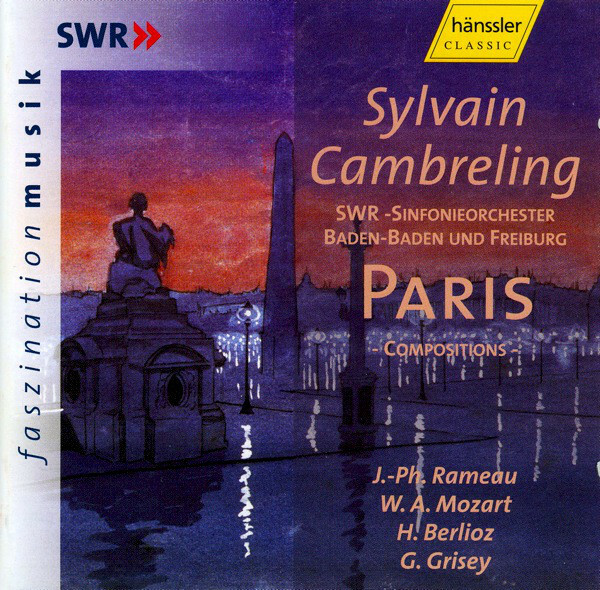 Trained as a trombone player, Cambreling studied at the Paris Conservatoire. He joined l'Orchestre Symphonique de Lyon (OSL) as a trombonist in 1971. 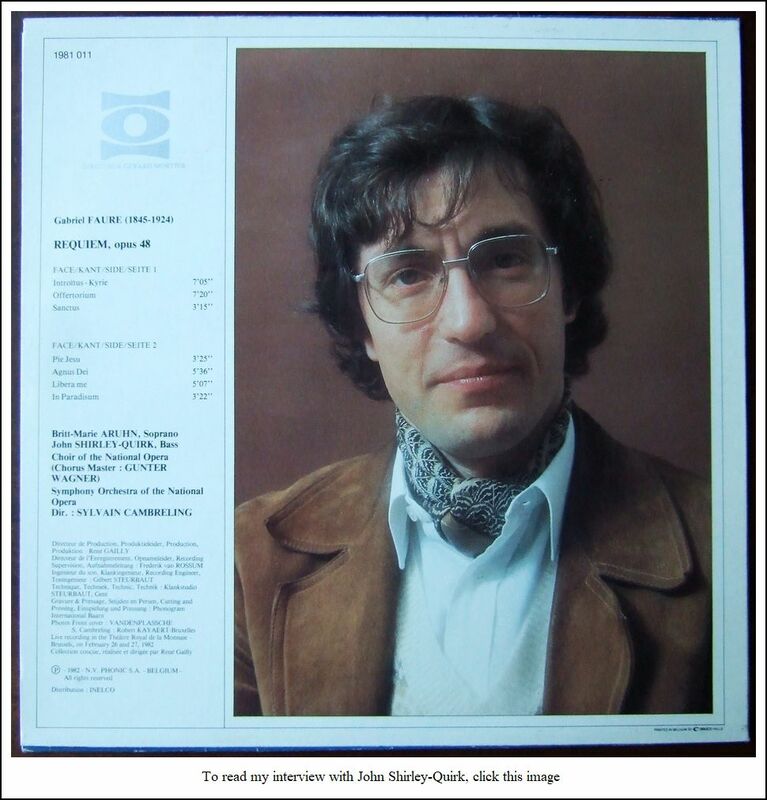 In 1974, he took second prize in the International Besançon Competition for Young Conductors. 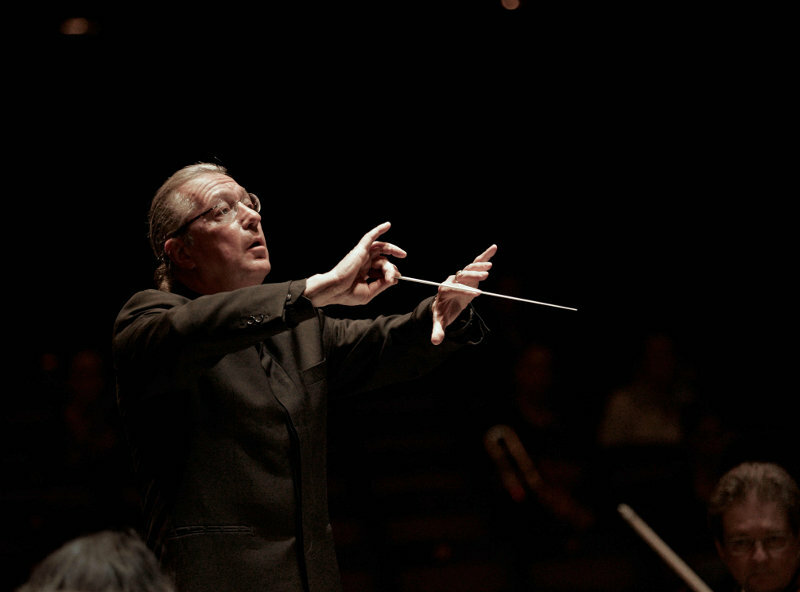 His conducting debut was with the OSL in 1975, leading Robert Schumann's Scenes from Goethe's Faust. At the invitation of Pierre Boulez, he began to guest-conduct the Ensemble Intercontemporain regularly from 1976. Cambreling was the music director of the Théâtre de la Monnaie, Brussels from 1981-1991, during Gerard Mortier's tenure. He served as artistic director and general music director of the Frankfurt Opera from 1993-1997. During his Frankfurt tenure, he encountered controversy over proposed budget cuts from the city of Frankfurt and the director for opera and ballet, Martin Steinhoff. From 1997-2004, he served as principal guest conductor of Klangforum Wien, with whom he premiered Luciano Berio's final opera, Cronaca del luogo. 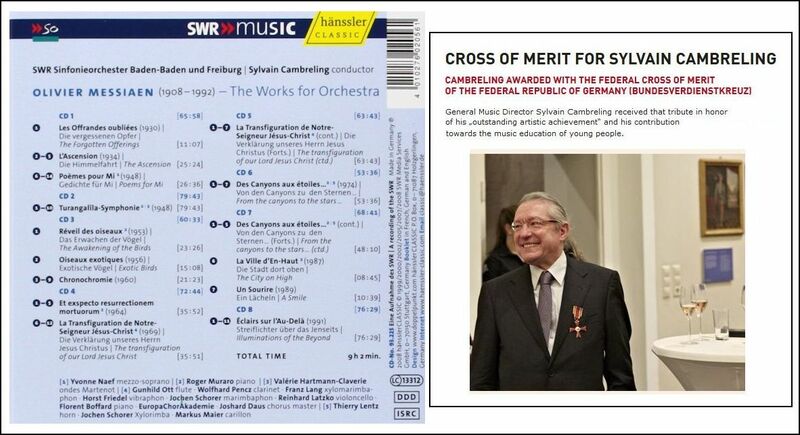 He also made several commercial recordings with Klangforum Wien. He was a frequent conductor at the Opéra National de Paris during Mortier's tenure there, from 2004-2009, holding the title of "principal conductor" for the first season of that duration, a title shared with six other conductors. 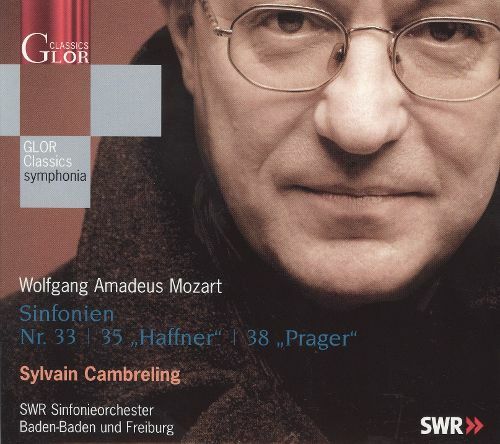 From 1999 to 2011, Cambreling was chief conductor of the SWR Sinfonieorchester Baden-Baden und Freiburg, and made several commercial recordings with the orchestra. In April 2010, he was named Generalmusikdirektor (GMD) of the Stuttgart State Opera, effective with the 2012-2013 season. He concluded his Stuttgart tenure at the close of the 2017-2018 season. In February 2018, the Symphoniker Hamburg announced the appointment of Cambreling as its next chief conductor, effective with the 2018-2019 season. 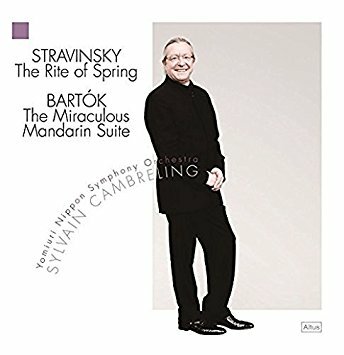 Outside of Europe, Cambreling became principal conductor of the Yomiuri Nippon Symphony Orchestra in April 2010, with an initial contract of 3 years. He is scheduled to stand down as the orchestra's principal conductor on 31 March 2019. 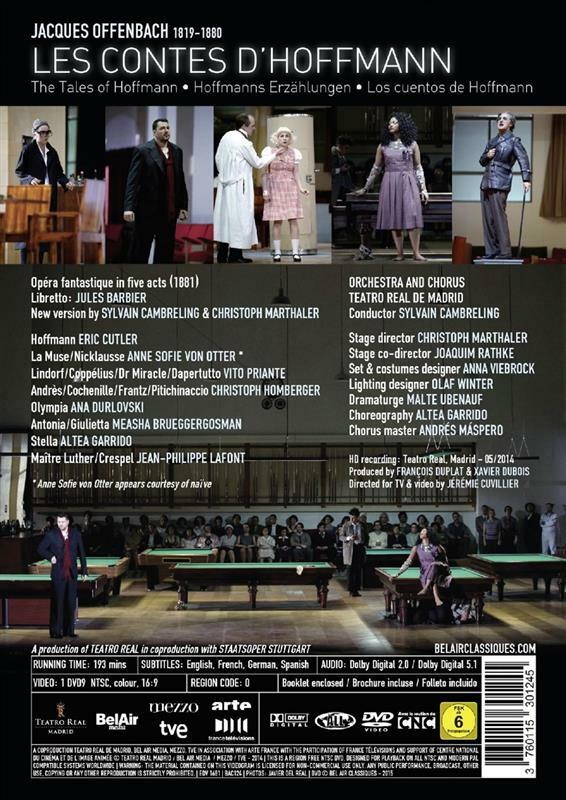 Sylvain Cambreling was in Chicago in the fall of 1998 to conduct nine performances at Lyric Opera of The Rise and Fall of the City of Mahagonny by Kurt Weill. The cast included Catherine Malfitano, Felicity Palmer, Kim Begley, John Duykers, Brad Cresswell, Timothy Nolen, Michael Devlin, and Raymond Aceto, and was directed by David Alden, with sets by Paul Steinberg, and lighting by Duane Schuler. 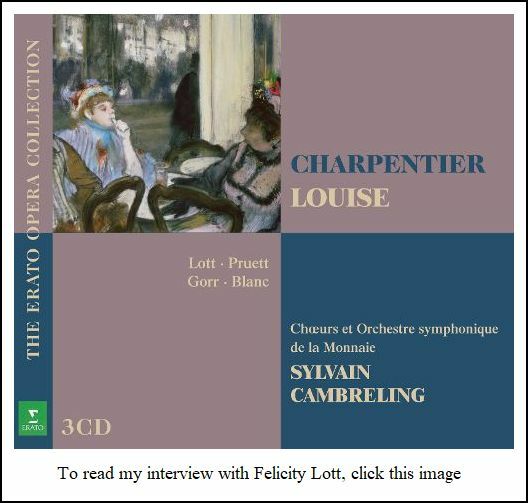 Knowing his penchant for new music, and having encountered his work on recordings, I arranged with Cambreling to have an interview. We met a couple days after the premiere . . . . .
Bruce Duffie: How was the opening performance? Sylvain Cambreling: I think it was okay. Did you see the performance? BD: No, we come in about a week. We very rarely come to first performances. We come to the third or fourth. BD: Is there too much stress in the first performance? SC: I don’t know. It’s always a bit difficult, especially for a piece like Mahagonny because nobody knows it, including the audience. It’s a new piece for everybody, and there was not a lot of rehearsal — [laughs] like every time — and we don’t know the piece or the production. It was very difficult to imagine what the reaction would be from the audience, because it is a very special piece. SC: It’s different. For Traviata and Tosca, the public has always a reference, and preference for this version or this one. For a piece like Mahagonny, they don’t know what they are coming to. The piece is very aggressive, especially for American people. It’s a piece against capitalism. BD: You’ve done quite a bit of new music in your career. Do you like bringing new, or at least newer pieces to the stage and to the concert hall? SC: The biggest part of my conducting is to do new music. For me, Weill is absolutely not new music. It’s a piece which was created in 1930, so it’s really not a new piece. However, it’s new for Chicago. The music is still a bit difficult to do because it’s not very jazz. Of course it’s jazzy sometimes, but it’s not jazz music. It could be very easy to do with more jazz rhythm and always dance music, but it’s not like that. When we get some jazz rhythm, it’s only a quotation or extract of some sort. We can’t play a phrase of Mozart in a modern piece, and when jazz is used in Mahagonny, it is a quotation or a citation. It’s not right to play the complete score only as quotations because you have everything. You have Mozart, you have Wagner, you have jazz, you have cabaret, you have Stravinsky. Everything in this score. BD: Is there too much in the score? SC: No, it’s not too much, but you have to learn everything, and you have to manage that for something very special and original. BD: There’s a little bit of this and a little bit of that, all of these styles, but is it all Kurt Weill? SC: Of course, Kurt Weill is all that. A specialty of Kurt Weill is to do songs. The melodies are very easy. You can remember the melody after you hear it once, twice, or maybe three times. You can sing it in the street, but what is under the melody is accompaniment — harmony, rhythm — and that is not easy. It’s very complicated. It doesn’t sound complicated, but it is very complicated to play. It’s very difficult to sing in tune because the harmonies are not easy. You have to try to make everything sound very easy when it’s not. BD: Is that true of most new music — do you have to try and make it sound easy when it is not? BD: Do you try to achieve this ease in rehearsal, or do you wait for the night of the performance to put that ease in? SC: We cannot improvise. We have to fix it. It’s too complex, too difficult to wait for the performance to do it. No, you have to know before the first rehearsal how you want to do it, and you have to explain how it has to be. Then you work, and it comes. BD: Is there only one way that it has to be? SC: I don’t know, although that is for every music. It’s not in this kind of piece. In opera, generally there’s no place for improvisation. SC: No, not at all. It’s a place for emotion. It is a place for feeling, but not improvisation. BD: [Gently protesting] I assume it must breathe, though. SC: Yes, but it’s got nothing to do with improvisation. You can’t fix it, and it cannot be dry. It cannot be only technical, but you cannot change anything. You have to be free in this very strong form, and only when you know completely this form can you be free. It is that way for all serious music. BD: It does sound a little confining. SC: Music is like that. Music is not free. When you have a score, everything is written. You cannot put in another tone; you cannot put in another color. You have to know it so well, and be so confident in the score for it to be yours. You must feel that you’re doing it this way because there is no other way. BD: Is it your responsibility to find scores that you are confident in? SC: The first responsibility has to be the composer. He has to be confident; he has to convince us. That’s the first thing. It’s not always, but when it’s good writing, you have to find a way. After that, everybody with his personality and with his talent has to be confident for himself to do with his talent exactly what has been written. BD: You used a word that I want to pounce on, and that is ‘good’. What is it that makes ‘good’ musical writing? SC: It’s difficult to say in two sentences because there’s a lot of question about it. In the case of Kurt Weill, why I say it is good writing is because he has a project in the beginning. He wrote this piece with the text of Bertolt Brecht, and figured out that he wanted to do music with popular songs. But he didn’t forget that the music is not the same as one century ago. He’s doing the music for his day with popular songs, and it has to tell a story with some figures. Each figure has its character, etc., and everything is in it. We have figures, we have characters, we have humor, we have exuberance, we have sadness, we have theater, we have songs, we have great choral writing. It’s good theater music. BD: There have to be so many things coming into it? SC: Oh, yes, or when you have one idea, it has to be very, very strong to do an evening with just that. BD: Do you only play pieces that are good, or do you wind up doing some pieces that are not so good? SC: Yes, but what is good is a problem of taste. I’m trying to conduct only what I love. I am not feeling comfortable in all music, but that’s only for me, personally. I’m not conducting Puccini, but a lot of people love Puccini. It’s good, but not for me. I will not do it. BD: You do a lot of new music. How do you know before a first performance if it’s going to be good and hold your interest? SC: Because I can read the music! That’s enough for me. I hear it when I’m reading the score. BD: Are there times when you’ll agree to conduct a work before the score is completed? SC: Yes, in one case I did a new opera of a composer I knew already. I did not know this piece, but I knew other music he wrote before. BD: So you trust the composer’s ideas? SC: For sure. It is the only way for me. I’m not doing my job only as a job; I’m doing it because I love it, and I try to conduct the music I do love. Of course, we cannot wait for each new piece to be a masterpiece. It cannot be. Sometimes it’s good, or it is a masterpiece, or it’s not so good, but it could be better. It might just need a second production, or something like that, and sometimes it’s just not good at all. We have to take the risk, of course, but that is not a new idea. It was the same in the nineteenth century, and in the eighteen century, too. That is not a new thing. BD: But why does the public expect every new piece to be a masterpiece? Are we spoiled? SC: No. The public has to be confident with the operatic direction. This is the first point. If they have subscription, they’ve paid for the tickets and expect us to give them something good. It may be not the mightiest, but at least is should be made well. That we can always do. The production has to be good, and we can always have good singers. Even when they have to sing bad music, they must be good singers! It is something we can really control. When you have a good piece and you engage bad singers, or a bad conductor, that is really a big responsibility. When it’s a new piece, and when you don’t know in the beginning how it will be, you can have good singers and a good production. BD: Let me ask the easy question. What is the purpose of music? SC: [Thinks a moment] I will say more generally what is the purpose of art. One of the purposes is to bring emotion, because only with emotion we can understand other people. When we have no emotion, we become more dry, and have no contact with others. When you have emotion, you become more fragile, and we can see other people with more attention and more love. With more emotion, we may have the possibility to love more, and this is good. But ‘emotion’ doesn’t mean always only sweetness. It can be dreadful; it can be terrible. When your best friend is going to die, it’s a big emotion. You can write about that; you can make an artistic piece about that. With emotion you can cry, or also have a dance of joy. But because you are emotional, you can give something. It’s one of the missions of art to do that, and music is maybe the most direct medium for that. Often you have seen a beautiful painting, and you are alone before it and are not obliged to tell anyone else what your emotion is. With music it’s difficult because first, music has to be heard and it has to be played. You need musicians, you need people, and more people than just the painter. With painting you have nobody between the painting and you. To be able to hear a composition, you need instruments and the people who are playing these instruments. You need a concert hall, and you need a lot of people. You are not alone to hear it. Maybe if you are in your bedroom with a CD it’s possible, but the best way to have this emotion is to go into the concert hall, or to the opera house, and have a lot of people receive the same emotion at the same time. It is a big source of communication. BD: But each one receives it a little differently. SC: Yes, sure! But I don’t think, for example, when you are hearing the Mozart Requiem that anybody has a desire to dance to it. Everybody has his own way to receive art because each work has its own story and its own emotion. But in the same way, it’s something that can happen between the people who are playing or singing, and all the people who are in the concert hall or the opera house. Something happens that is different than the contact between a painting and the people. You cannot teach the meaning of emotion. It can be funny sometimes, too, but without emotion something is missing. BD: So then the musicians who are playing the music are really part of the creative process, not just the re-creative process? SC: In a way, because without the players, without the instruments, without the sound, music is only ink on the paper. It becomes music when it’s made into sounds. It is in these ways that musicians are a big part of the creation. When it is a string quartet, each of the four musicians really have a direct input on the music, but when it is a big orchestra, they are less because they cannot have a complete idea of the entire score. They know what they have to play, but it is not automatic for last stand of the second violins to know exactly what the second bassoon or the tuba is playing. It is the responsibility of the conductor not only to be organized, but he is the one who specifically makes the organization. But it is not only that. It is the possibility of each of these musicians to understand the work and to be intelligent in music; not only to be active, but to understand and be understood. BD: As the conductor, are you trying to find what the composer intended, or are you trying to find what you think the composer really wanted? SC: When a modern composer is there and when we have direct contact, it’s clear. It’s relatively easy to try to do what the composer wanted. When the composer is dead, or when you do not have direct contact, you have to trust the score. With the scores from the end of the nineteenth century and the early twentieth century, everything is written, and you are really trying to play exactly everything that was written. This is especially true for the small points, some small attacks and tiny nuances. When you try to do that, you are very close to the meaning of the composer, because the language of today is like that. This language is to write everything. In the time of Mozart, not everything was written, so it’s why you have the possibility of having one, two, twenty, a hundred different interpretations. What is the truth doesn’t exist; it’s always what you search for. It’s not just interpretation, it’s your way. Maybe for me I have one idea about Mozart, and I’m trying to follow my way for each piece I’m conducting. Of course, it’s always a work of Mozart, but the young Mozart, and the Mozart of his Requiem are not all the same. You have to understand both, and to try to find that way. 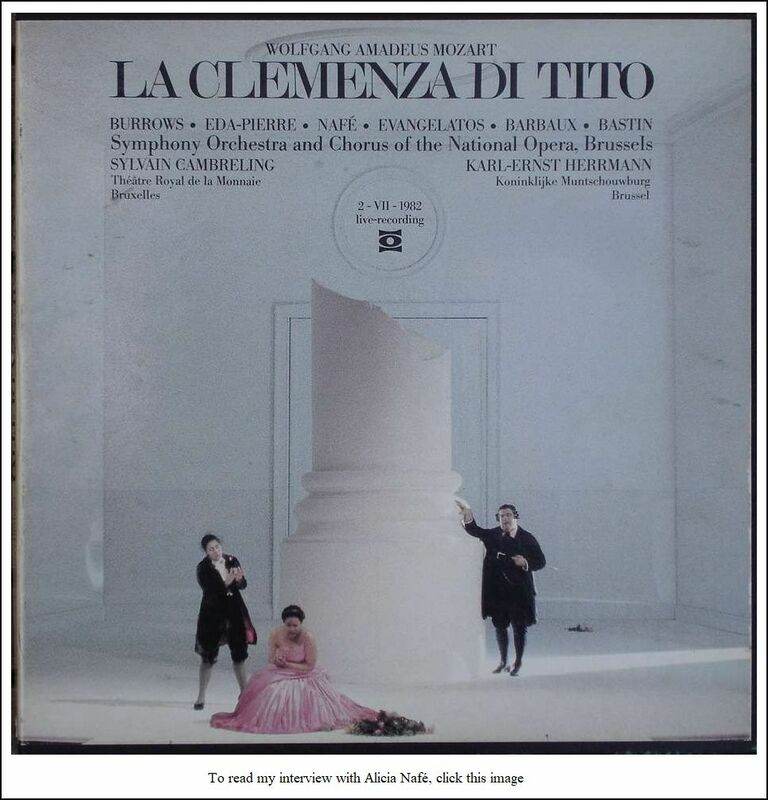 To understand the young Mozart, you have to study Carl Philipp Emanuel Bach, and Cimarosa, and the other Italians. You have always to learn and always to show this in each piece. BD: Does working with living composers today help you in understanding Mozart, and the others who are part of the historical line? SC: I’m absolutely convinced of that. People who understand the new music and practice the new scores give a brighter vision about all music. The biggest danger is to do only the music from the middle of the nineteenth century, and to stop after the early twentieth century. It’s a very, very small parameter of music. We can learn about a piece of Mozart, but in new music, you will learn to hear differently — not only the notes, but the sound. You may simply have the notes, but the sound is different. [Bangs the table] That is a sound! BD: Mozart’s a very small sound? SC: Yes, but he has enormous possibilities of sound. This has always existed. For example, one of the most beautiful things in Mozart is the silence between the notes, but in the new music, it is evident the composers are playing with the silence, and the noise, and the time that is missing. All the signs are in the score. When you understand exactly what it is, and what can happen at these signs, my God! It is also amazing what you can find in the signs of Mozart. It’s very banal and a very simple example about the rhythm, and about the rapport between the harmony and the rhythm and the tempi, etc., but I am convinced that to learn the new music is a very good way to understand the music of the Classical period. BD: So that’s the advice you have for young conductors — learn new music? SC: Yes, but for everybody! Why only for the young conductors? For the old conductors, too! They have to learn the new music, too. BD: You are French, so tell me about the French style. What is it that we don’t seem to understand about the French style? SC: Maybe it is a kind of transparency. La clarté française [French clarity]. Everything has to have a right place, and everything is important. Nothing has to be forced. Everything has to say something. Each small note, each small word has a sense, and in a practical sense it means a conductor must have transparency for all music — German music, American music, French music, Spanish music, Classic, modern. To have this clarity, this transparency, you have to be very extremely rigorous about the rhythm and the balance. When something is written forte for everybody, it doesn’t mean the four horns have to play forte, and the flute too. If the flute is more important than the four horns, they play mezzo piano to achieve this forte. BD: That’s how you balance the sound? SC: That is balance, but it’s not balance alone. Balance is only to have this transparency and the clarity. It’s one thing, and it goes together with the légèreté, the lightness, the délicatesse, the delicacy. It can be the virtuosité, like when French people start to speak very, very fast. It is not very loud, but it is with such energy. That is one thing about the French style, but the French style is only interesting when you are able to play in all the styles. BD: Is it part of your responsibility to bring out the French style all over the world? SC: It’s not a responsibility, it is only an effect. I only do it because of the clarity and the transparency. Those are the good qualities of the French style. It can also not be the desired quality. For example, when I am speaking about lightness with French musicians, or French conductors, or French orchestras, they are playing the music too lightly. Brahms must not sound very light. It has to sound a bit brighter, and it absolutely must not be done in the French style. We have to play with it, and go sometimes the French style, and sometimes absolutely another way. But when I’m doing French music, of course it is my responsibility to try to explain how it has to be and why. BD: Is it right for us to expect you, the conductor, to understand the French style, and the German style, and the Italian style, and all these styles? SC: A musician in an orchestra is waiting for the conductor. He has to say something, to do something. Each musician is waiting and expecting to learn something from the conductor. Now it could be the French style, or it could be a different thing. Musicians in orchestras who are very good, and play everything, are waiting and expecting to learn something they did not know. That is what we have to do, and it is not only for one, but for a collective. It is how the string section has to sound in one part of Mahagonny, and why, in another part of Mahagonny it has to sound differently. It is because in this part we are playing a Tango, and in another part we are playing a parody of Wagner. They don’t know this immediately. They don’t know the score, and they don’t hear with just their own parts what they need to hear to have the complete idea. That is what a conductor has to explain, and it’s not only with words. We have to practice it. BD: But you, as a conductor, have to know the score of Mahagonny, and Manon [Massenet], and Pelléas [Debussy], and St. Francis of Assisi [Messiaen]. SC: Yes, of course! [Laughs] It is my job! A conductor has to know much more than an orchestra musician. BD: Is that too much responsibility for the conductor? SC: No, not too much responsibility. It’s wonderful. It’s very exciting. You can make some mistakes sometimes. It can happen, alas, but not too often. BD: [With a gentle nudge] You need a good percentage. BD: How much of your time is in the concert hall, and how much of your time is in the opera house? SC: In the last twenty-two years, I have given practically eighty per cent for my time to opera theater, and twenty per cent to concerts. BD: Do you like this balance? SC: I did because I wanted it this way. I spent ten years in Brussels as Music Director, and four years in Frankfurt, and as a guest conductor in opera everywhere. In the last two years I’m not involved anymore in one opera house as Music Director. That means I am much more free, and I’m doing many more concerts. This is good, but it does not mean that I prefer that. It’s only something different. I’ve always conducted a lot of concerts, but much more opera, and I’ve always done a balance between new music and classical music. My repertoire has always been between Bach and today, really a lot of different things. As far as opera is concerned, I have more than eighty operas in my repertoire. When I say ‘my repertoire’, it means I can conduct any one of these eighty, and in concert I maybe have four or five hundred concert pieces in my repertoire. BD: Do you leave enough time to study old scores and new scores? SC: I’ve managed to. I’m always doing new music, always, always, always, maybe between five and ten new pieces each year. I cannot say it’s very easy, but it’s not very difficult. It’s not annoying or a nuisance for me. I love to do it. I’m always interested to read new music and to learn it, and to practice the rhythm in order to do it. Sometimes we know a piece will be played only one time, or just two or three times, and you find a joy when you are playing it for the first time. Other times, you just know a piece will be played again and again because it is so good. BD: When you come back to a work after a few years — either an old piece, or a relatively new one — do you go back to the same score that you used, or do you get a clean score and start fresh? SC: It depends on which work. For classical pieces — a Beethoven symphony, or a Mozart Opera, or a Mozart Piano Concerto — I don’t need the score, anyhow. Sometimes I ask to have a new score to have a new view. It’s always very easy to go in the old way because you have your marks on your score. But when you have a complex score — for example, Die Soldaten [Zimmermann], or Lulu [Berg] — I have my score, and I keep my score. I’m not ready to change it. 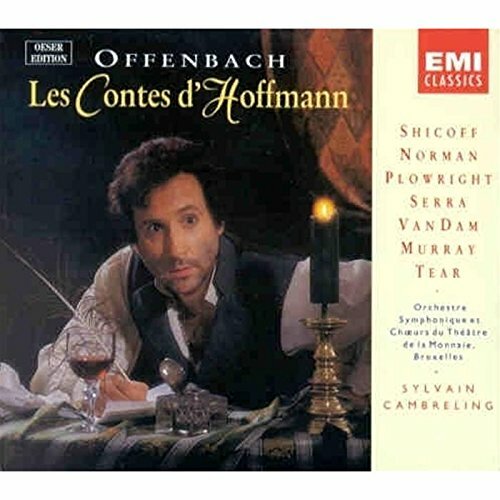 For something of Offenbach, like The Tales of Hoffmann, I have no problem. BD: Do you find that your ideas of the score have changed? SC: Oh, yes, sure, more for opera than for concerts because opera is theater, and theater is always made with people, and we change. There isn’t a lot of change — it cannot be twice as fast or twice as slow — but it is the character of the scenery. BD: But any musical changes are very subtle? SC: Yes. For example, the last time I was involved in a new production of Don Giovanni, it was already my fourth production of Don Giovanni, and some friends said, “It’s very strange. This time you love the women more in this piece.” [Much laughter] I didn’t plan it, but I realized, yes, it was true. I was always more on the side of the women this time, and with the production before I was much more hard on them. It had changed. BD: [With a gentle nudge] So, before you were being Don Giovanni, and this time you were being Donna Anna? BD: Tell me the joys and sorrows of working with the human voice. SC: It’s why I will never abandon completely the opera. I need that. I need the human voice. It’s the first and most beautiful instrument, and it is the best instrument to describe the human passion — much more than an orchestral instrument. Of course, when you have Rostropovich with the cello it’s fantastic, but the human voice is even more. When you are working with singers, you can go much further into the expression because it is an instrument we know. Not everybody really has a voice, but we know what it can be to make a sound, and how it brings feeling to make passion with the sound and with words. It’s not only the human voice. It is literature; it is poetry; it is theater as words; it is world-meaning philosophy; it is everything. BD: Does it ever get to be too much? SC: [With a note of horror] No! No, art is never too much! It’s life! We are alive! It’s really human! It means we use words and sound to describe our passion, and we are communicative with words, and with song, and with reason, and with passion, and with emotion. It’s never too much! Never! SC: Yes, I’m comfortable with that. I have no problem. I’m very happy. I have already done a lot, and I will do more, and I’m waiting to learn even more. BD: Because you work with new music so much, are you optimistic about the future of musical composition? SC: [Sighs] There’s never been a problem with the composition. It will be, and it will always exist in a new way from the composer. That is not the point. The point is what will be the market for classical music? And not only classical music, but for jazz, and everything. There’s maybe too many CDs and records, but it isn’t that too much music exists. It’s only the problem of the economic market. Classical music is not in the best place. It’s a pity, but I’m not afraid about the art of the music. I’m afraid of what we musicians will be doing in twenty years, but it’s not the fault of new music. It’s the fault of different things, such as the economy, not of the music. BD: Music itself will last forever? SC: Maybe. We don’t know, but it’s still absolutely possible to compose music. There’s a lot of wonderful new music. [Laughs] There’s a lot of bad music, too, but that’s always been true, so it’s not news. Maybe there is no place in this society for all the good music, but it’s not an artistic question. It’s a question of politics, finance, and everything. BD: The problem is the opportunity for the music to be heard? BD: Are you proud of your recordings? SC: I’m not doing many records; very, very few. SC: I made this decision already twenty years ago. It was the beginning of the high technology in recording, when it was always possible for everybody to make a good record. You could record one minute here, one minute there, and maybe two days later you can record it again much better. [Laughs] Today you can make a virtual tenor. It’s absolutely possible. BD: I would think that would be horrible. SC: But it exists already! You have a lot of records like that. There are very good tenors in every repertory, but even if they cannot sing a lot of the parts of the repertory, they’re making the records. The engineers can make the voice ten times bigger than the real voice. It’s virtual art in music, too. That is one reason. I didn’t want to make this kind of thing. I only wanted to do live music. The other reason was I didn’t want to make my career with records. No, I’m a musician. When I’m good enough, I will do the recording career, but not yet. I need to find a company that will let me conduct what is my choice, and in my way. It will be good, or not good, but it will be my way. BD: So you’re being true to yourself, and true to the art? SC: Absolutely! Of course, today it can be different. First, the technology is good enough to do very good live recordings. That’s the first way it becomes again what was recording was in the beginning — a report, a document — and that is wonderful. I’m very happy to hear the old recordings of the fantastic conductors or soloists. Those are good documents. They are very good, and we can do the same today with fantastic technique, and it sounds very good, and it is really music. That is one thing. The second thing is that I don’t need the record company to enhance my career. When I’m making a recording, it is only because I want to do it. I’m doing a lot of new music for the new composers — not for me — because it is a good way, and a good medium for dissemination. It’s what I’m trying to do. BD: Do you like traveling all over the world with your music? SC: Yes, and really working a lot in Germany and Austria. It’s my best. I began in France, of course, then in England, and in Scandinavia, in Italy, in America... It is all wonderful. I’m feeling really like a European — not only French, but a European. Each time when I meet a new orchestra in a part of the world that I’m visiting for the first time, I think it’s so good. We become richer, and have more emotion again. Not only that, our knowledge can be bigger too, because it’s always a bit different. BD: [With a gentle nudge] We now we have the Euro Currency, so are you a Euro Conductor? BD: Are you coming back to Chicago? BD: I hope we’re made you feel welcome here. SC: I’m feeling very welcome. I find the city very exciting. BD: Thank you so very much for coming, and thank you for the conversation. This conversation was recorded in Chicago on November 16, 1998. Portions were broadcast on WNIB three weeks later. This transcription was made in 2018, and posted on this website at that time. My thanks to British soprano Una Barry for her help in preparing this website presentation. Award - winning broadcaster Bruce Duffie was with WNIB, Classical 97 in Chicago from 1975 until its final moment as a classical station in February of 2001. His interviews have also appeared in various magazines and journals since 1980, and he now continues his broadcast series on WNUR-FM.